There’s so much beauty in Argentina, it’s too much to see! Por el próximo mes, estaré escribiendo sobre mi experiencia estudiando en Argentina. Hay una versión inglés también. 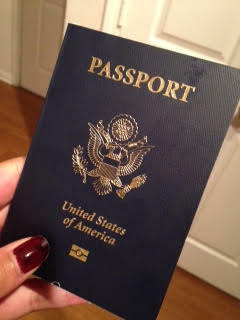 For the next month, I will be writing about my experience studying in Argentina. There’s an English version also. He ido en la Argentina solamente una semana y siempre recibo la misma pregntuna: ¿De dónde sos? Se parace que mi acento es muy norteamericano (o “yanqui”) y no lo puedo ocultar. Pero, la experiencia ha sido fántastico. Córdoba es un cuidad muy auténtico y hay tan muchas diferencias que la otras partes de latinoamérica. Por emjemplo, sos. En Argentina, la gente dice “vos sos” en lugar de “tú eres.” Usando el voseo es un cambio para las otras estudiantes y yo. Es un poco dificil. Es dificil expresarte cuando esta está ocurriendo en un otra lengua, pero estoy emocionada para hacerlo. Estoy aprendieno y me lo encanta. For the next month, I will be writing about my experience studying in Argentina. There’s a Spanish version also./Por el próximo mes, estaré escribiendo sobre mi experiencia estudiando en Argentina. Hay una versión española también. I have been en Argentina for only a week and I always get the same question: Where are you from? In Argentina, people say “vos sos” instead of “tú eres.” Using the voseo is a change for the other students and me. It’s a little difficult. It’s difficult to describe when this is happening in another language, but I’m very excited to it. I am learning and I love it. 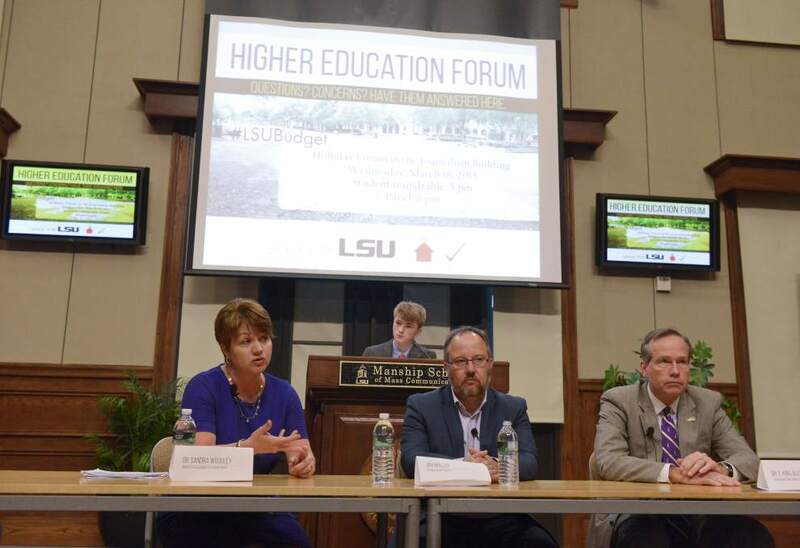 On Wednesday, March 18, 2015, Geaux Vote LSU held a Higher Education Forum in the Holliday Forum in the Journalism Building. The panelists were LSU President and Chancellor F. King Alexander, University of Louisiana System President Sandra Woodley and Louisiana Budget Project Director Jan Moller. The evening was full of thoughtful discussion and advice to students on how to move forward. Two words from Dr. Alexander stuck out the most to me: be annoying. Those words resonated with me because they were a reminder that consistent efforts will not go unnoticed. For better or for worse, one thing is true: only the loudest voices will be heard. In this case, it is the loud, persistent and annoying student voices that will be heard. Geaux Vote LSU worked really hard to plan this forum and spread the word far and to well received audiences. Students have clearly been concerned, and were interested in hearing what public officials had to say about those concerns. However, we still did not get the attendance we wanted. So at the end of the discussion when the panelists—all dedicated public officials—urged us to stand up for ourselves, it was clear to me what the real downfall will be for students. If we lose everything, it will be because students were not annoying. Rather than express their concern, students are staying home and waiting for the crap to hit the fan. When millions of dollars in budget cuts rain down on Louisiana college students in the form of cut courses, degree devaluation, extended graduation, cut programs and the like, students will have few to blame but themselves. It’s incredibly simple: legislators do not listen to students because students give them no reason to. We do not vote and we do not show up. Student decisions are made by everyone except the student. The budget cuts will be no different if we do not make a change. However, this revelation is not a deterrent. There are students who are expressing their concerns in the form of action. Myself and other students will take those concerns to the Capitol. Student voices will be at the public hearing for the budget cuts. A few students can make a difference, but we cannot speak for 300,000 college students (Though we are certainly going to try). More students need to take action. All students need to take action. Students need to find their legislator’s emails, mailing addresses and phone numbers, and start blowing up every form of communication with their concerns. (I’ll even help you out with the first step: here’s the state legislature website). Students need to show up to the Capitol and start talking to anyone who will listen. Students need to show their faces, because that is the only way to get our voices heard. It’s time to be annoying. This post was originally posted in NOLA.com. You can find it here. Higher education in Louisiana is currently making headlines in light of the budget crisis that could possibly trigger $300 million in budget cuts. Since our governor is currently on the presidential campaign trail and Louisiana has divested more from higher education than just about every other state, this crisis has naturally called attention from all over. The Washington Post has covered it. So has The New York Times. NOLA.com | The Times-Picayune and the Baton Rouge Advocate have been extensively covering the issue. Politico did a particularly interesting article on the ramifications this mess could have on Gov. Bobby Jindal’s presidential campaign. Though the coverage has been directed towards Jindal and his campaign, there has been adequate attention on the numbers and the facts behind the budget crisis. There’s only one problem: Not a single article has asked a single Louisiana student how we feel about this. Students across the state have been reading, listening and watching updates on the budget crisis, but we have not once been asked about our reactions or our proposals. Since no one has asked us, we have come to the conclusion that we must represent our own interests. We are concerned. At best, these spending reductions will cut numerous programs and result in the layoff of hundreds of people, including many of our instructors and professors. At worst, the budget cuts will be so devastating that schools will have to close their doors. We are strapped for cash. In the last five years, tuition at LSU has increased by 200 percent, a fact that our governor doesn’t seem to know. Despite the possible tax credit for college students and potential revenue from a controversial cigarette tax, an additional increase is all but unavoidable. This is a frightening inevitability, especially since no one seems to know exactly how deep these cuts will go. We are aggravated. On Jan. 24, Gov. Jindal held a prayer rally on our campus that gathered a crowd of thousands. In the midst of this were numerous protests, including one protesting Jindal’s proposed cuts to higher education that was largely ignored by both Jindal and the press. Student grassroots organizations are popping up all over the place, and students have even taken to the state Capitol in an effort to have their voices heard, all to little avail. It is hardly surprising that no one has had anything to say to these groups — Jindal’s administration has remained largely silent on the entire issue — but it is frustrating nonetheless. We understand the assumption that goes along with students and political issues. The budget is a very complicated and complex document. Students are assumed to be indifferent about these issues because they are hard to understand. And it’s true; these issues require significant study. However, there are particular facts we certainly do understand and cannot ignore. We understand that the size of the cuts is roughly equivalent to the size of TOPS and the entire community and technical college operating budget. We can foresee that cuts this large will lead to increased tuition and in turn increased financial strain on ourselves and our families. We know that if we lose course instructors, course offerings will soon follow. We suspect that if courses are cut, our pathway to graduation is threatened or lengthened. We seek input into the conversation; our futures are on the line. At the end of the day, neither the Jindal administration nor the state Legislature will have to worry about how they are going to pay for school next year. The burden of lost professors and deteriorating infrastructure won’t just fall on the university. These changes will become part of our everyday experience. As students, we understand the nature of our jobs and the job of the Legislature. However, we feel that the interests of those directly affected by the multi-million dollar cuts should be represented at the table. Everyone’s asked Gov. Jindal. They’re asking the Legislature, public policy experts, pundits and the like. Why haven’t they asked us? Valencia Richardson and Kira Schuette are co-founders of Geaux Vote LSU. They are joined in this opinion essay by Garrett Clawson, co-chapter leader, Students for Education Reform at LSU; Lauren Guillot, president, Common Sense Action LSU, and Emmanuel Smith, president, Students for Education Reform LSU. Este fin de semana, recibí mi pasaporte. Es la primera cosa necesito para el viaje a la Argentina este verano. Voy a ir por uno mes, y voy a tomar tres clases de español durante el viaje. Estoy emocionada porque lo será un oportunidad para hacer fluido. Les voy a tomar a los lectores conmigo en el viaje, como voy a escribir muchos entradas durante el tiempo en la Argentina. Estoy yendo en el 10 de julio y devolviendo en el 9 de agosto.